Learn how to bring music to your ears and beauty to your eyes using the Stokes Bluebird Book. The bluebird's song has enthralled us for ages, and their beautiful blue plumage attracts our eyes like a beautiful flower. Bluebirds, however, have recently suffered significant population losses due to diminishing habitats. This book informs you of how you can help bluebirds in your area. Tips on posting bluebird houses, creating landscaping that is bluebird-friendly, and monitoring of the houses are all explained. Other facets of bluebird life, such as life spans, life cycles, nesting and fledgling mannerisms, and behavior changes in fall and winter, are all cataloged and explained with great detail, providing a full overview of the species. 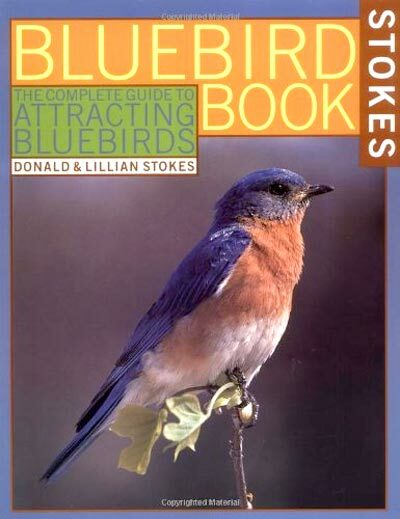 The easy-to-read writing style adds approachability, so any beginning birder can understand and enjoy the Stokes Bluebird Book: The Complete Guide to Attracting Bluebirds.